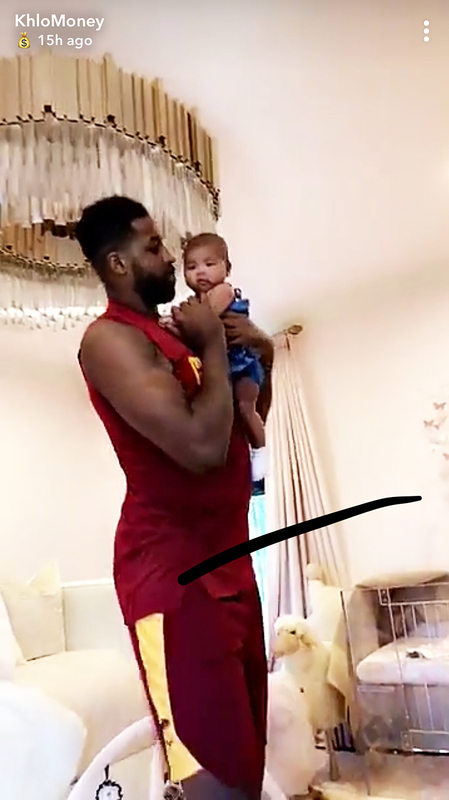 Khloe Kardashian Shares Video of Tristan Thompson, True Dancing: Watch! Baby heaven. 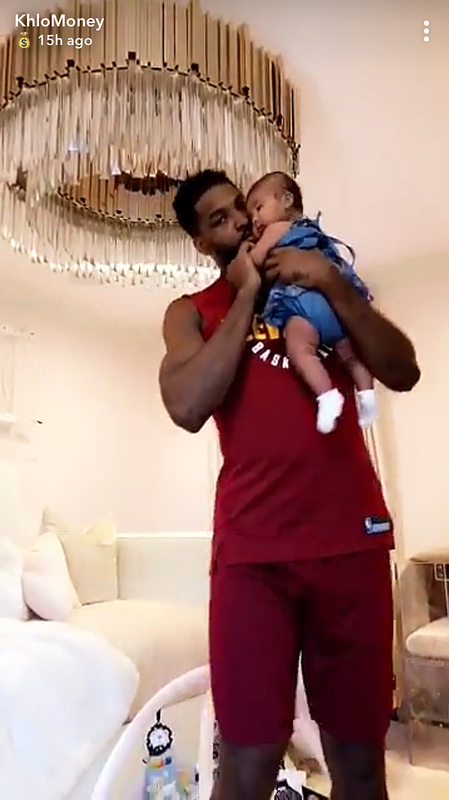 Tristan Thompson and daughter True bonded with an adorable dance on Wednesday, July 11 — and Khloé Kardashian captured it on camera. 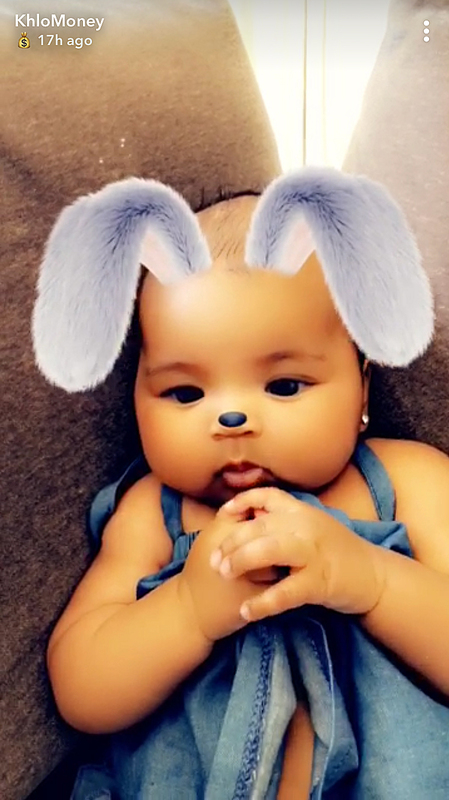 In the video, which the new mom shared on Snapchat, the 27-year-old NBA star twirls their little girl around as he holds her in his arms. “Do a little dance, baby,” he tells the 12-week-old as he kisses her on the cheek. Kardashian, 34, and Thompson appeared to be in the newborn’s nursery at the time. The reality star recently said that she tried to keep True’s rooms in both Calabasas, California and Cleveland, Ohio “as identical as possible.” Both include a $4,500 Nursery Works lucite crib and $49 Pottery Barn Kids butterfly ceiling mobile. Even more? There is a marquee that spells out “Baby Thompson” in grandma Kris Jenner’s handwriting. Thompson is also dad of son Prince, 18 months, from a previous relationship. “I just had kids, so I’m trying to save up for their college tuitions,” he joked to Cavs.com in May.